The Alien Anthology is the definitive collection of all four Alien films on Blu-Ray. It was first released in the UK (Amazon.co.uk) and the US (Amazon.com) on October 2010. It’s a six-disc set which includes all the features from the Alien Quadrilogy boxset as well as additional new features. The films became available as standalone releases in January 2011. 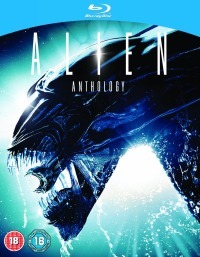 A cheaper 4-disc version of the Alien Anthology was released in the UK (Amazon.co.uk) in January 2012 and it lacked the two bonus discs of the original release. The Alien Anthology was also released as a limited edition Alien Egg as well as the regular boxed sets. It can still be found on Amazon.co.uk for £75 though it’s harder to get a hold of in the US. You can check out the news archive here to view all the news posts we made about the Alien Anthology. Just picked up one of the LE Alien Eggs tonight! 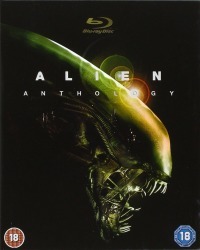 The Blu-Ray ” Alien Anthology ,is excellent , Compared to the premature release of the DVD Release ..